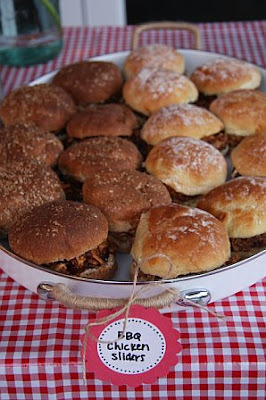 My friend Jennie hosted a fabulous dinner party for our group of friends from college. 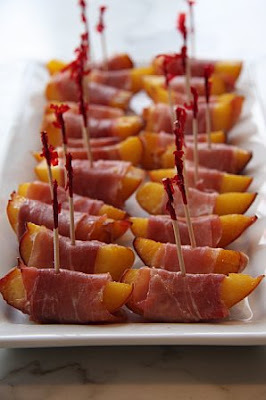 We're a pretty casual bunch so she did a backyard BBQ but that didn't mean she was going to skimp on the details. Her set-up was adorable. 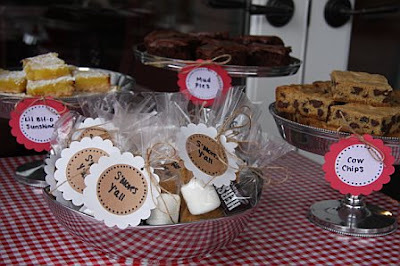 She set two big tables with red and white checked tablecloths topped with red and white flowers. 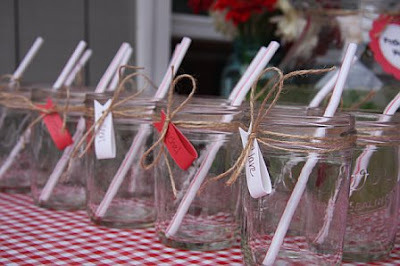 She used little mason jars with name tags for drinks and made cute labels for everything that she attached with twine. 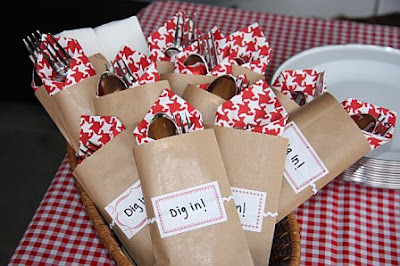 I love the way she packaged the silverware and napkin in the little paper pocket with the "Dig In" label and rick rack ribbon. 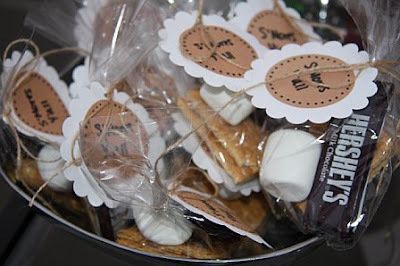 The cutest touch.... individual bags with a graham cracker, mini chocolate bar and marshmallows for s'mores. It was all too cute. 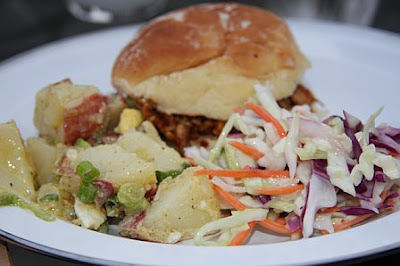 Not to mention the food was great! Everyone gobbled up the dinner and we hung out so late that we had two rounds of dessert. Sometimes casual is just better, but that doesn't mean you can't still make it fabulous! Nice work Jennie! Oh my goodness! This is so cute. It amazes me how creative people are. 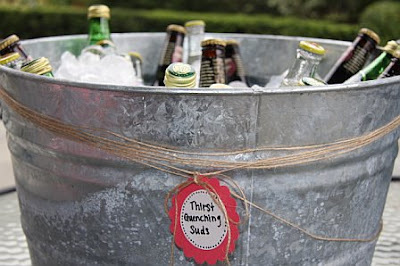 I am definitely adding this to my list of future parties. Thanks for the idea and wonderful pictures! Where did the little paper bags come from? I'd love to pick some up. My friend got all the craft supplies at Michael's (http://www.michaels.com/art/online/home). Aren't they so cute? !